Tech brands are transforming the business travel and expense landscape—and business traveler expectations. This will have big implications for your finance organization. Join us for this webinar as we look at the biggest trends in corporate travel and how finance leaders can create a future-proofed corporate travel policy that will help manage spending and cut costs—while also meeting the needs of business travelers in 2019. Our speakers also will share the results of new research revealing the most popular travel vendors from more than 10 million expenses processed in the third quarter of 2018. 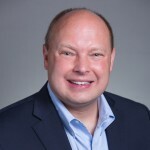 Mark Brousseau is a noted analyst, speaker, writer and marketer, with more than 21 years of experience in advising leading providers of financial operations solutions and services. 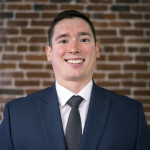 Brousseau is president of Brousseau & Associates, a full-service strategic marketing and business development consultancy with the largest client base of any firm of its kind. Brousseau & Associates counts among its clients many top solutions and services providers in the payables, receivables, payments, document management, and healthcare verticals. With 2+ years at Certify and over 10 years in the Technology Consulting industry, Matt Damon joins our webinar as a Spend Management Expert to elaborate on industry trends and provide real-life examples of spend management success stories. Some of Matt’s favorite projects include; assisting a global auto-equipment manufacturer roll-out a company-wide solution and replace a major expense vendor only used by one business unit, creating a strategic phased implementation for a human capital organization to automate travel, expense, and invoice processes, and finally, developing a cost-benefit-analysis for a traveling health services organization, enabling them to pay for T&E automation by increasing clinical visits. This webinar is provided free of charge and underwritten by a sponsor. Following the webinar, you may be contacted by the sponsor with information about their products and services. 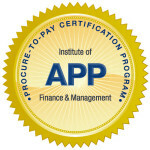 Receive 1 CEU towards maintaining any AP and P2P related program through IOFM! 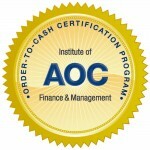 These programs are designed to establish standards for the profession and recognize accounts payable and procure-to-pay professionals who, by possessing related work experience and passing a comprehensive exam, have met stringent requirements for mastering the financial operations body of knowledge. Receive 1 CEU towards maintaining any AR and O2C related program through IOFM! 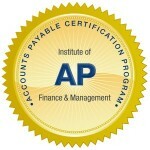 These programs are designed to establish standards for the profession and recognize accounts payable and procure-to-pay professionals who, by possessing related work experience and passing a comprehensive exam, have met stringent requirements for mastering the financial operations body of knowledge. Thank you for registering for the on-demand webinar: What you need to know about Corporate Travel in 2019, sponsored by Certify. A confirmation email will be sent shortly with access to the on-demand materials. Register for this on-demand webinar by completing the fields below. Having issues registering using the form below? Call 207-842-5557 or email [email protected] for assistance.